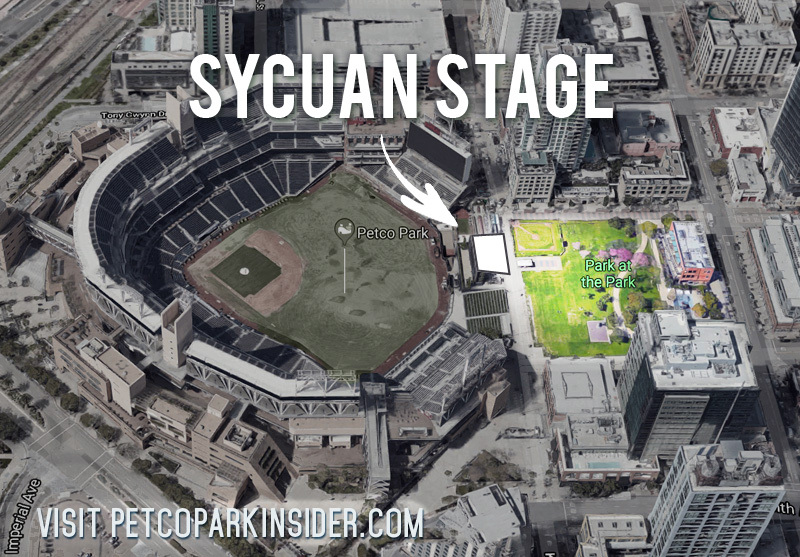 In 2019, the Padres and Live Nation unveiled the new Sycuan Stage, a concert venue inside the Park At The Park behind the Petco Park scoreboard. The outdoor venue with 2.8 acre space has a capacity of more than 6,000. It has committed to hosting at least eight national acts annually. The Sycuan Stage is the first outdoor venue of its kind to be included inside a Major League Baseball ballpark. View the individual concert links above or visit LiveNation.com. Check back for more information as concerts are announced.